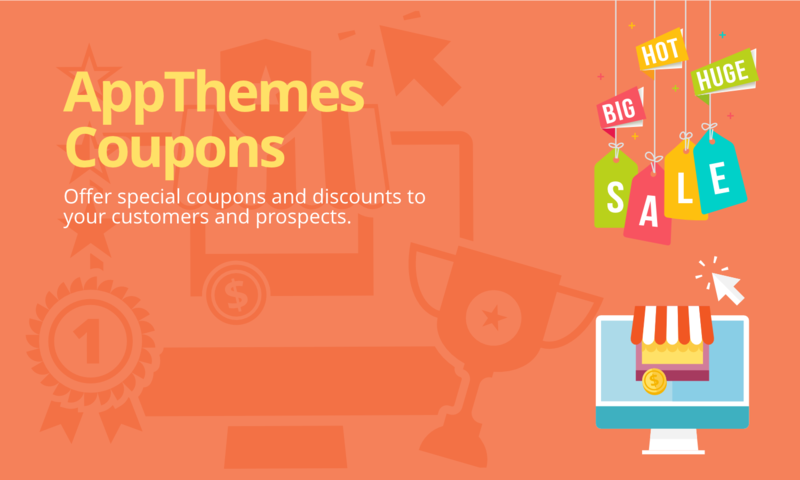 AppThemes Coupons are an easy way to start offering coupons to your customers. This is one of our most popular plugins! Also works with Vantage 4.0! 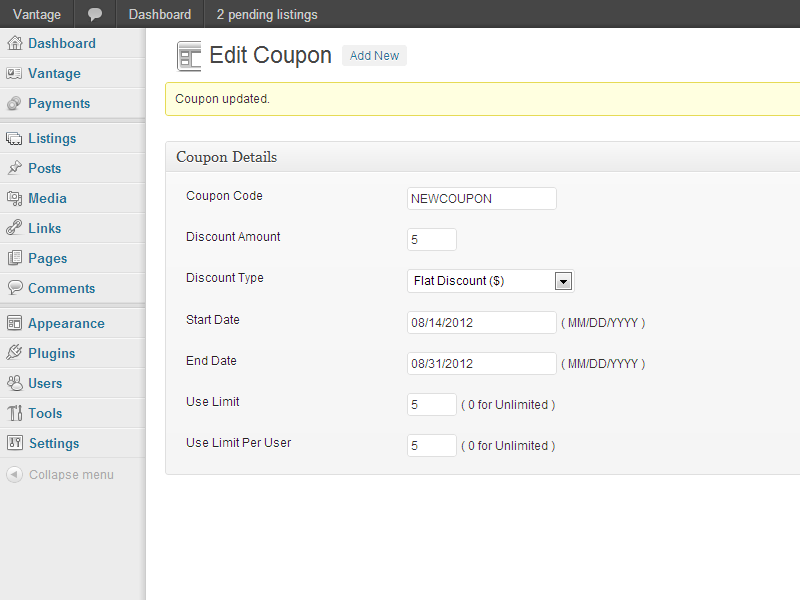 AppThemes Coupons will work with any theme that supports AppThemes Payments. This includes ClassiPress, Vantage, JobRoller, Clipper, and HireBee. 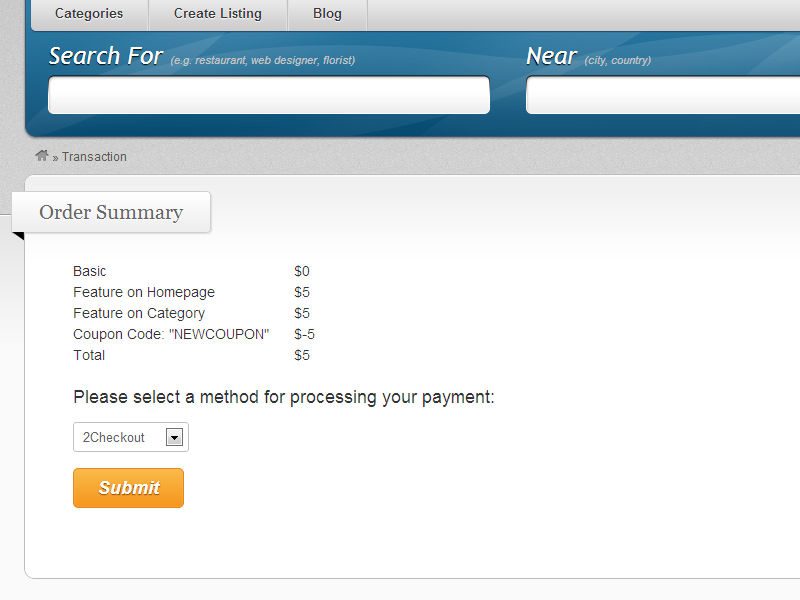 Once activated, you can add/update/delete Coupons via the Payments Menu, under the Coupons page. Fixed issue with missing coupon code in checkout. It does the work if you need to create a single coupon for all plans/packs. You guys need to further develop this plugin so we can apply different coupons to different packs. Works great easy to use thanks. Plugin works fine but turns out it doesn’t work with renewals or claimed listings. works! but really not useful. would be better if you could modify all fields. Had no problems with this plugin on Vantage site – works exactly as described. Works PERFECTLY with our pet business directory. Used a coupon code during the holidays and our clients loved it. Thank you so much for this plugin, it really works on pulling in sales and works great with affiliate systems! Does the plugin work with Vantage 4.0? Hi Colin. Yes it does. Hi does it works with Jobroller? I wish I could make different coupons for different membership packages or ad packs. (Say 10% off a Gold Membership until Easter, for instance). 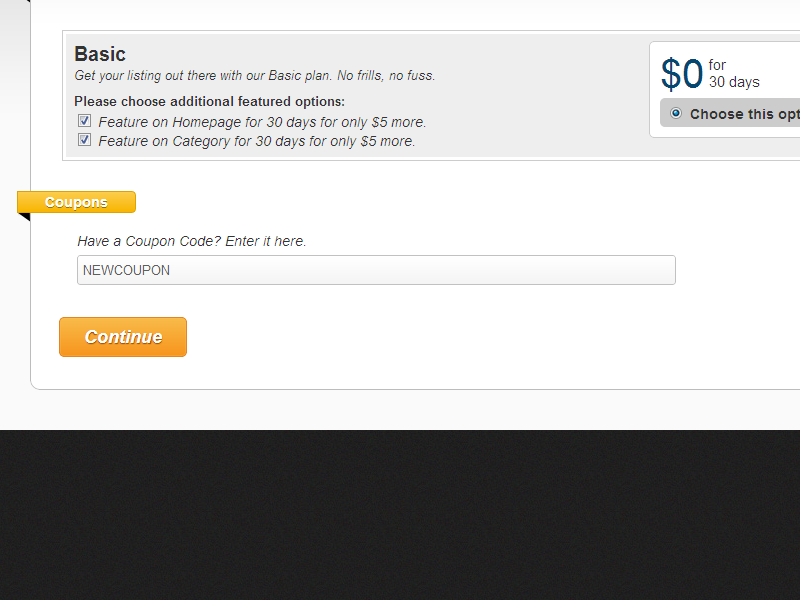 Will it ever be added to the coupon plugin? No plans to add at this time. Hi David, thanks for the response. Is it available in Spanish? or could we translate it? Hi there, I’m using 2Checkout as the payment gateway. Will this plugin work? Hi there, so I purchased this plugin with asking the most important question. How does this plugin works if I have multiple price packs? It looks like I can’t select to which pack I want to apply the coupon to!! Has anyone thought about it? need to update, how much will it cost? 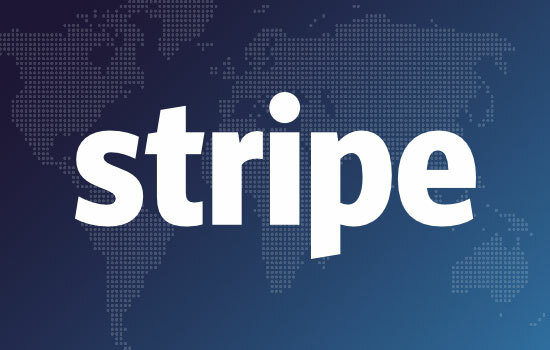 This means that the initial cost includes a lifetime license to use the plugin, and a 12 month subscription. The subscription is for updates and support of the product, so once that expires, if you choose not to renew it then you will not have access to support or updates for it. The cost to renew the plugin subscription will be around 30% of the initial plugin cost. Thanks. 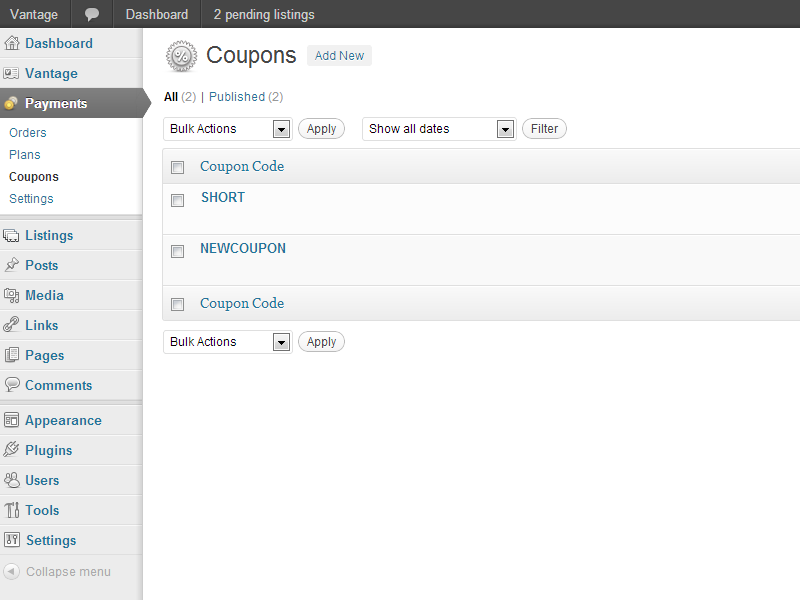 I bought and installed AppThemes coupon plug in but it does not work. 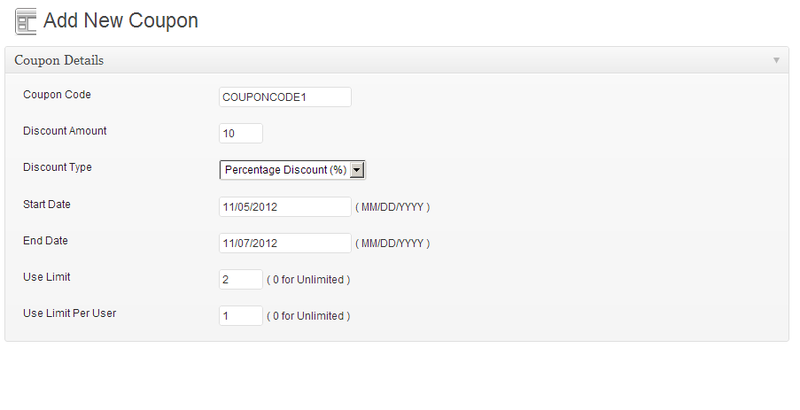 – in Edit Coupon page I insert condition (as per instruction) but in Coupons list it appear with NO NAME, 0% of discount and without date limits. It looks like it doesn’t keep the setting. The Producer can help me in some how? Hi @peterparker990, please note that support for this plugin is provided in this section of our forums: https://forums.appthemes.com/appthemes-coupons/. If you could please start a thread there, outlining your issue, our support staff can assist further. Thanks.